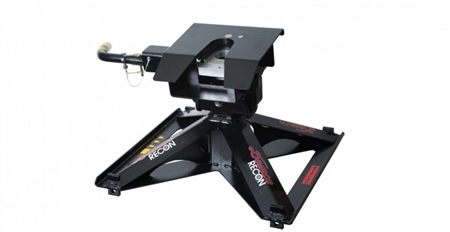 Try the Demco 8550043 Recon 21K 5th Wheel Trailer Hitch for a high quality and durable trailer hitch! This hitch is lighter in weight and fits industry standard bed rails. The lightweight design allows you to separate the hitch to make installation easier and quicker! Height Settings: 15-1/2", 17-1/4" and 18"